Charitable Annuity prevailed by a nose in the 2017 West Virginia Breeders Classic. Photo by Coady Photography. Midway through the season, just a single “Win and You’re In” race for the West Virginia Breeders Classics has been contested. But the schedule is about to get a lot busier. The only “Win and You’re In” event run to date was the It’s Only Money Stakes May 12, but two more are slated for August and then four more on September 22, the undercard of the Grade II, $300,000 Charles Town Oaks. Two stakes that had been tabbed as “Win and You’re In” events, the Confucius Say for older runners and the Original Gold for fillies and mares, were not contested this year. 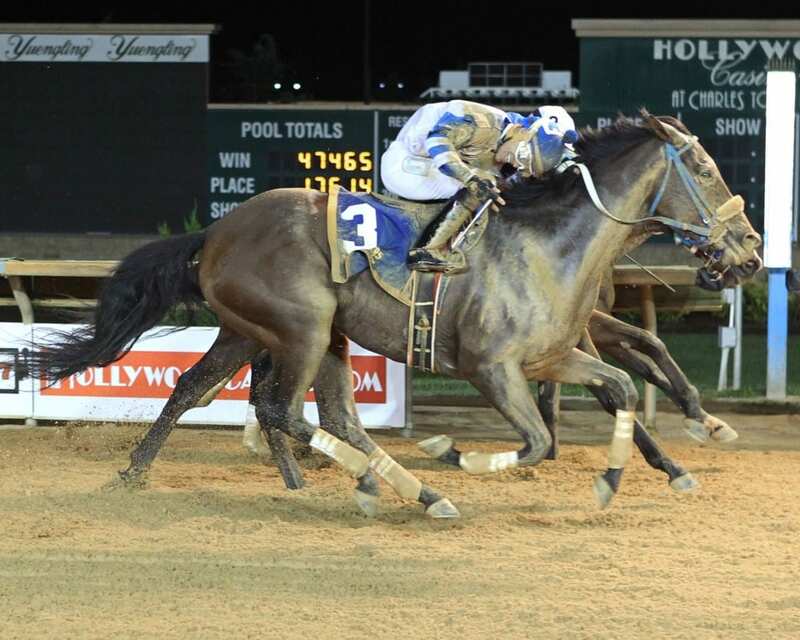 On August 18, Charles Town will host the Robert Leavitt Memorial Stakes for state-bred three-year-olds, with that winner getting a free ride into the West Virginia Lottery at seven furlongs on WVBC night. One week later on August 15, Charles Town will offer the Sylvia Bishop Memorial Stakes for state-bred three-year-old fillies, with that winner designated for the West Virginia Division of Tourism. Then four others will be contested on September 22: the Rachel’s Turn Stakes for two-year-old fillies, the Henry Mercer Memorial for two-year-olds, the Sadie Hawkins for fillies and mares three and up and the Frank Gall Memorial for three and up. While the Rachel’s Turn is designated as the “Win and You’re In” race for the Triple Crown Nutrition BC and the Henry Mercer winner will be earmarked for the Vincent Moscarelli Memorial BC, winners of the Sadie Hawkins and Frank Gall will have options. The Sadie Hawkins winner could go in either the Cavada at seven furlongs or the Distaff at one mile and one-eighth, while the Frank Gall winner can opt for either the Onion Juice at seven furlongs or the Classic at nine furlongs. The slight adjustment was necessitated by the elimination of the Confucius Say and Original Gold stakes. Through the first six months of the racing season at Charles Town, Court Date owns the distinction of being the only horse to annex a “Win and You’re In” race, having captured the $50,000 It’s Only Money Stakes for state-bred older runners on May 12, catapulting the Lela Hanagan-trained homebred into the West Virginia Dash For Cash BC here his fall. The victory was rewarding for Hanagan on numerous levels, since it marked her first stakes winner as an owner, breeder or trainer and it also covered Court Date’s entry and starting fees for the WV Dash for Cash. He has also come back to win an allowance race over the strip by five lengths in 51.73 before running third, going 6 ½ furlongs, on June 29. Longtime local owner, trainer and breeder James W. Casey will certainly make his presence known in the “Win & You’re In” races leading up to the West Virginia breeders Classics, and he is hopeful that one of his horses will be a genuine beneficiary of that designation. Casey’s Ellie’s Lil Man delivered a dull effort when sixth in his seasonal debut earlier this month, but he does sport a 7-4-2 slate and over $135,000 banked from 19 starts and would likely need to win the Frank Gall Stakes on Sep. 22 to earn a berth in either the Classic or Onion Juice. 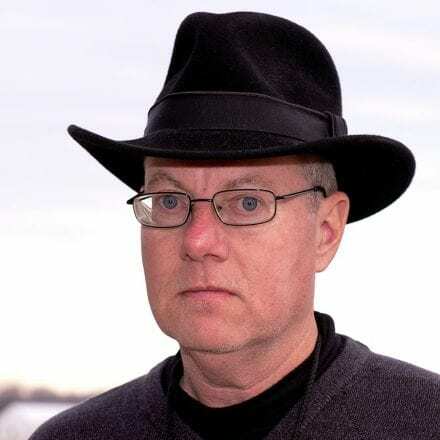 Casey noted that he nominated 15 two-year-olds to the West Virginia Breeders Classics, down from 25 the year before when he inadvertently omitted William and Mary from the list of noms. William and Mary has won three of five starts this year and six of nine outings overall, but capturing the Robert Leavitt, the “Win & You’re In” companion to the West Virgina Lottery BC, would not alleviate Casey from having to pony up the 10 percent supplemental fee to get him into that race on Classics night.